Area 1 is designed for medium and long ranged characters to use their ranged attacks. It also supports a large area space for multiple characters brawling there at once. 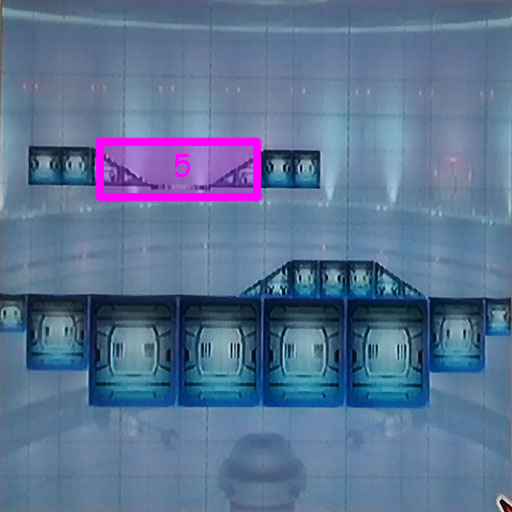 Designers can view area 1 as the core brawling area, and the first section of the map’s essence. Area 2 is designed for the melee ranged characters to get up close and personal. 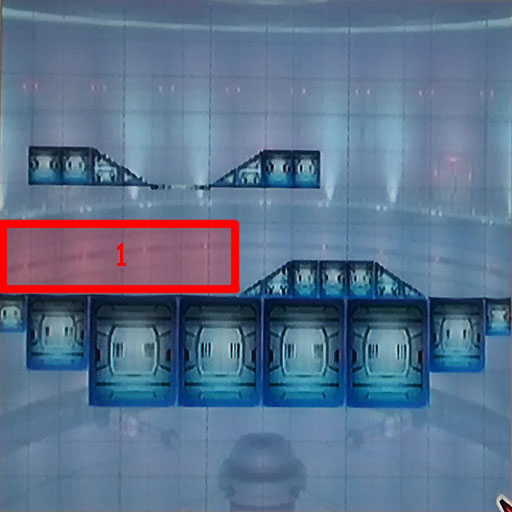 This area is designed for two characters to duke it out in isolation. Although, it can support a third character trying to clean up and get a double kill. 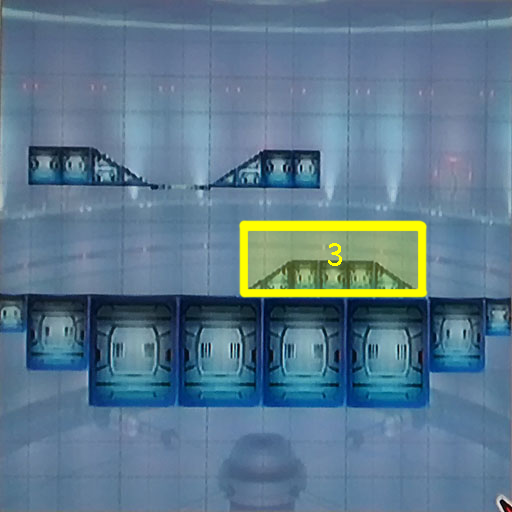 Area 3 is a “blind” designed to break up line of sight between areas 1 and 2, so that the main lower area doesn’t become a “final destination” landscape dominated by long range characters, such as samus and her rockets. It also acts as a warning area. 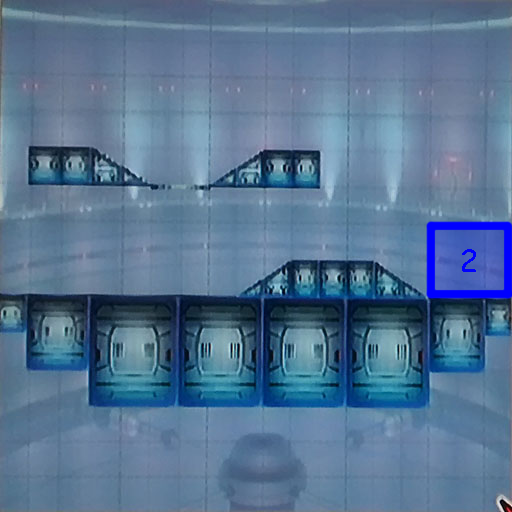 For example, if a player is in area 2, and sees an enemy in area 1, that enemy is of no threat. 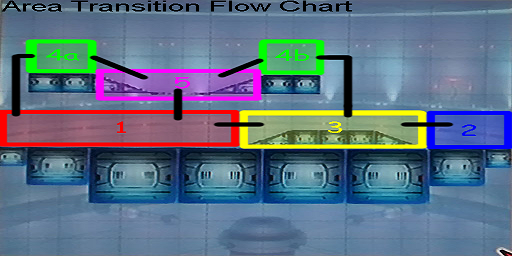 Although, when that enemy transitions from area 1 into area 3, the player in area 2 now realizes there is a potential threat to deal with very soon, but not right now because the two players are still at different height variations. Area 3 also allows transition to area 4b via a double jump. 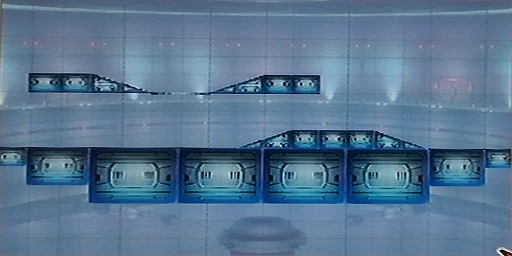 Area 4 is designed to be a secondary brawling area. 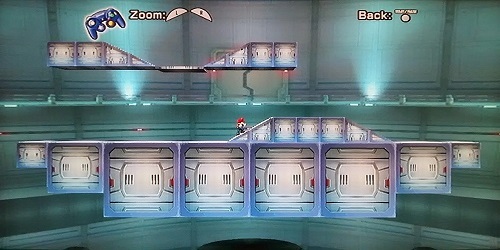 As such it changes up the standard “flat brawling area” formula up by having two area 2 sized platforms at the same height level. 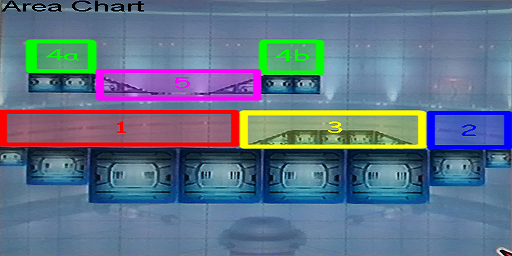 Individually 4a and 4b have all the components of area 2, a small up close brawling area. But together, with no area 3(a positive space line of sight break up) ranged characters can still shoot from “a” to “b”. 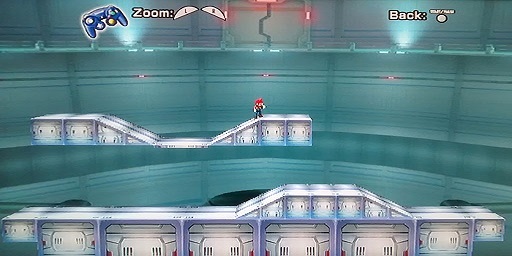 Area 4a also provides a jump down to counter campers on the edge of the map of area 1. Area 5 is designed as the “area 3” between 4a and 4b, except here it is a subtractive space “blind” instead of a additive space “blind” like in area 3. When a melee ranged character in 4a charges a ranged character in 4b, the melee character enters area 5. By doing this they are out of line of sight of ranged attacks until entering area 4b, now within melee range. Area 5 also has a half block, where you can drop to area 1. 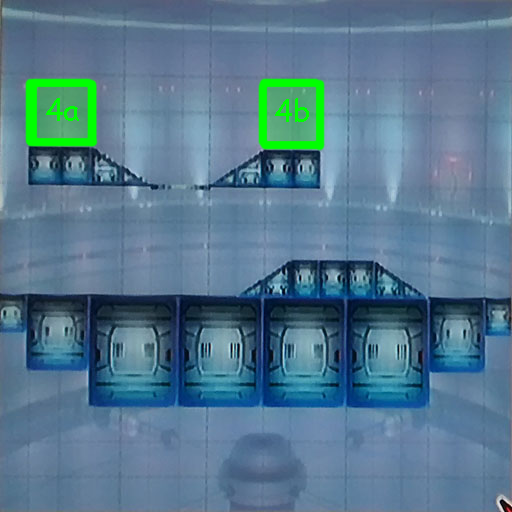 Each area is either designed for players to assume the rolls of their character selection type (offensive area) or to counter other player’s rolls (defensive area).